In collaboration with THS National, AANC President, Kellie Falk; AANC Treasurer, Jennings Snider; AANC State Suppliers Council Chair, Rebecca Rosario-Bueno; and AANC NextGen Chair, Stephanie Loyd, talk about AANC and encourage all members to get involved. Watch the full video by clicking play, or watch the video on YouTube here. AANC is your statewide apartment association representing the 7 local affiliates in North Carolina and representing more than 374,000 units across the state from the mountains to the coast. As part of AANC's Strategic Plan, members are encouraged to get involved by joining a committee. Learn more about AANC Committees here. The following Legislative Updates are an AANC Member Benefit. Any use or reproduction of the updates is limited to AANC and its members. The 2nd year of the 2017-2018 biennium session of the North Carolina General Assembly (known as the short session) started Wednesday, May 16. We are expecting a truly short session that would end by the end of June or early July. That being said, it is a short window of time to get things accomplished and move legislation through the process. The following are our priority list of issues. The Apartment Association has been made aware that 5 different companies are involved in lawsuits regarding the fees that may be recouped against a tenant during an ejectment proceeding. In one of the cases, the Court issues a ruling that found that the landlord in this case could not collect for filing fees and attorney fees and even more troubling that the collection of these fees was an unfair and deceptive trade practice (treble damages). We were able to have House Bill 803 filed which would protect landlords when renting to those with criminal records and would also make some favorable changes to the deceased tenant law to assist landlords in allowing families to retrieve their loved one's property. The bill was sponsored by Representatives Hardister, Ross, Goodman, and Richardson, which is a great bi-partisan group. The bill was approved by the House in a unanimous vote and is currently in the Senate Rules Committee. We hope to get a hearing in the Senate and finish this important legislation during the short session. The AANC has worked on the issue of Private Process Servers for many years and we have made substantial progress this session. House Bill 706 which would allow private process servers to post service counties with at least 200,000 in population (the 10 largest counties) was approved by the House, with a vote of 90-28 - which is a pick up of almost 30 votes over last session. With this momentum from the House we made a hard run at the Senate only to be thwarted again; however, a study of the issue was authorized with Rep. Jordan (the sponsor of our House bill) and Senator Daniel (co-chair of the Senate Judiciary Committee). The study committee held three meetings and the Apartment Association provided testimony and our data at each meeting that was compelling and clear. The Chairs developed two recommendations - one allowing process servers and making several positive changes to the statute and one just making the changes and now allowing private process servers. The study committee voted at the final meeting on a compromise position that would allow private process servers only in counties of 950,000 or more- which is only Mecklenburg and Wake Counties - and also included the other positive changes to the statute. This compromise appeared to receive a unanimous vote and will now be included in the list of bills supported by the Legislative Research Commission and considered during the short session. We will continue to try to add more counties to the bill by decreasing the population requirement; however, this may be our best change ever to have private process servers in any county so we will have to make strategy decisions as the session moves forward. There are many groups and local governments talking about affordable housing and the AANC is working to coordinate those efforts and look at the issue from a business perspective. We believe that programs to incentivize developers to build affordable housing should be the focus. As part of the AANC 2018 Conference, we held a private luncheon to discuss The Future of Affordable Housing in North Carolina. The luncheon was moderated by Greater Charlotte Apartment Association (GCAA) Executive Director, Ken Szymanski, and the panel included: Paul D'Angelo (The City of Asheville), Lee Cochran (Laurel Street Residential), Samuel Gunter (NC Housing Coalition), Kimble Ratliff (National Multifamily Housing Council), and Mark Shelburne (Novogradac Consulting). The purpose of the panel was to engage the broad range of housing providers in the state about local housing programs, state, and NCHFA programs, and private developer housing initiatives that address affordable housing and/or housing affordability. Will you support your industry? Building and maintaining relationships with elected officials, implementing sound legislative strategies, and contributing to your PAC are all key components to successful advocacy for any industry. These components work in tandem, creating a legislative environment that allows an industry to grow and thrive. As campaigns grow increasingly more expensive and our legislative efforts become more complex, the North Carolina multi-family industry must further solidify its role as a leader in shaping sound legislative policy. Our industry has no choice but to strategically place ourselves amongst the upper sphere of influence. We must remain ever present in the electoral process, public policy, and mindful of every legislative need that help or hurt the interests of our industry and its residents. Whether we like it or not, money plays a significant role in politics. As such, it is important for the multi-family industry to place a key role in campaigns and public policy to ensure candidates standing for the issues are important to us are elected to public office. Your PAC contributions play a vital role in a candidate's ability to win elections and every dollar, no matter how large or small, counts. With general elections right around the corner and a host of issues important to us on the table, will your voice be heard? Will you support your industry today? Fundraising at the AANC 2018 Education & Legislative Conference for the AANC PAC raised over $13,000! A HUGE thank you to all of the volunteers and everyone who contributed, who helped make this the most successful AANC PAC fundraising event to date. Help the AANC PAC reach their 2018 goal of $25,000! 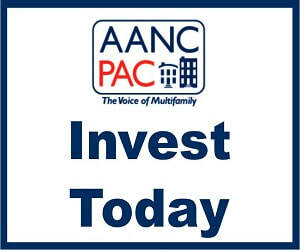 Contribute to the AANC PAC Here! 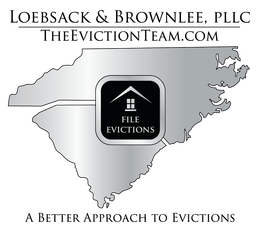 The NCHFA is conducting research on the rental application process in different markets across the state. They are interested in better understanding their own data on application acceptance and denial rates for units in their portfolio by gaining more context about local rental markets.